How do we do this lifetime commitment? Why did i say yes to forever? Did i really mean forever when i said yes? Is it possible to be happy in the everyday nitty gritty of “until death do us part” ? 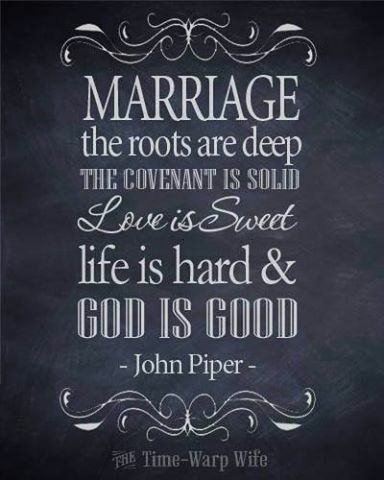 John Piper talks about the “why” of marriage in his book This Momentary Marriage. You can get a free PDF of the book at the turquoise link. We believe this to be truth. Our commitment to each other is not primarily about our happiness. It is about HIM being seen as the one and only worthy God through our commitment to each other in marriage. How do we live that commitment on a daily bases? It is one thing to say i will do this day after day for the rest of my life, it is quite another to commit to one more day when things are hard, lonely, and may feel hopeless. We will each talk a bit about one specific truth we use to walk out our daily Happily Ever After. These are just two of the many habits we have developed in our 33 years of learning together. I (Mary Kaye) mentioned in this post , when asked “How do you make marriage work?”, i often reply, “We are committed to fighting.” going a bit further with that thought what i actually mean when i say we are committed to fighting is we do not walk away from a misunderstanding. Communication. You have to talk it out, you have to work to bring any tiny ripple of descension to a united calm between the two of you before you can move on. 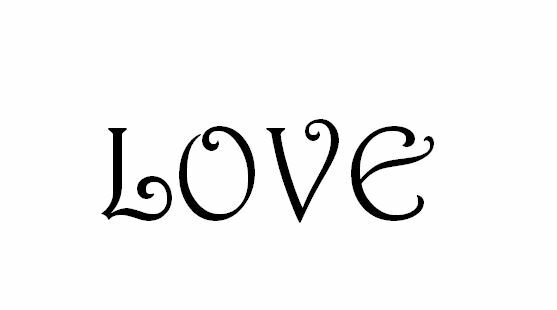 Ephesians 4:15 talks about speaking the truth in love, later in verse 26 we are reminded, Do not let the sun go down on your anger. When our adult children were small they slept on the other side of our living room walls. One of our sons was reminiscing about the nights he would lie awake listening to Tim and i work through something. There were times the conversation would last for hours as we worked to get to the bottom of each other’s hurt and hearts. We just kept talking, no one got to “be done” , no one was allowed to walk away or go to bed. In full disclosure this particular son said, “most often I was on Dad’s side.” Just today Tim and i were working on some home projects. Tim kindly took over something i had started, when i asked where it was he answered, “I’ll do that for you.” to which i responded, kindly, “Is it going to be ugly?” Oddly enough he found my question slightly off-putting. We pursued understanding (you know what i am saying) each other, it took just a bit for us to realize we are actually on the same team just processing differently. The thing that amazes me is that these conversations always uncover something deeper and with some history. These “fights” are not something negative, these times of misunderstanding can be opportunities to grow deeper and understand each other clearer if we will commit to doing the hard work. Tim and i walk this communication process with very different styles, it is not easy, even when the “issue” is trite. It can look like a fight, we both have to stay committed and in the ring until the final bell has rung or we both lose and ultimately all those around us lose something too. A lifetime Love is worth fighting for, Tim is not my enemy, he is my allie on a team that is committed to finding our happy in a world that says it may not be possible. My Man, that would be Tim, lives forgiveness like no other human being i have ever known. i often say, “Tim forgives for every wrong that will come against him today before he gets out of bed each morning.” If communication is a habit i have brought to our marraige table, forgiveness would be one of the most important ways Tim has lead us as a couple. Pappa (Tim) – I was born Norwegian – (actually 1/2 German, but my ancestors must have come from the very far north of Germany because that half was Norwegian-like). For those of you who don’t know what that means let’s do some word “free association” for Norwegian. Stoic, reserved, of few words, confrontation avoider, unemotional, uninvolved, boring, “I said I love you the day we got married, I’ll let you know if anything changes”. So poor Kaye came into our marriage expecting/hoping for great communication and I brought verbal paralysis. For 33 years I have been learning to express my feelings, needs, and desires – Kaye has been a wonderful and patient (sometimes) teacher. Every year has gotten better. We are committed to keep at it. We have intuitively developed a set of “Rules of Engagement” when we “discuss”. We’ll lay out these rules in later posts so you can get a picture of what that looks like. Discussions, for me, are very painful. Not because of any certain subject matter, but to communicate on this level is out of my comfort zone. However, I always enjoy and appreciate the outcome as nothing good comes without effort, pain and being stretched. I believe often when people in marriages start to have conflict they start to doubt if the person to whom they are married is the “perfect match”, who they were sure was their ticket to “Happily Ever After”. When all those bad habits and personal idiosyncrasies start to rub the wrong way, they become even more convinced, I made a mistake. But – COMMITMENT will lead to COMMUNICATION which will lead to UNDERSTANDING which will lead to FORGIVENESS, which will lead to JOY. We will call it JOY because joy is a positive emotion that transcends circumstances, happiness is a positive emotion that comes during good circumstances and often disappears when the circumstances change. Joyous Ever After – I like the sound of that better. So, let’s conclude by saying this; Go into marriage expecting conflict. How you handle that conflict will be directly proportional to the growth you have in the depth of that relationship and ultimately your “JOY”. The tools you need to accomplish respectful and effective communications are in GOD’S WORD. Many have said that marriage is a 50%-50% proposition. I would say it is a 100%-100% proposition. Only by each partner being willing to sacrificially give 100% will they get what they want (need) from the other. And if done in this sweet, selfless way it makes getting it all that much better – like a gift given not out of obligation, but out of an overflow of Love. This is a good one. Nice work you two. It is such a joy to write with dad, thank you for reading. That is a perfect synopsis of the Norwegian heritage today. We suffer from the same afflictions. I also appreciate the 100%-100% proposition. My husband (and others) question why I give him so much freedom to do as he pleases. I know that not only will it make him happy but also that he will give me the same freedom whenever I ask for it. If you each commit to caring for the other you don’t need to be selfish and make sure you are taken care of. A perfect post note to our ponderings. Thank you!